Bing Crosby’s version of the Irving Berlin song “White Christmas” is the best selling recording of all time. First released in 1942, various versions of the single sold more than 50 million copies. Add in appearances on LPs, CDs and EPs (like this one) and you have total sales of something more than 100 million copies. 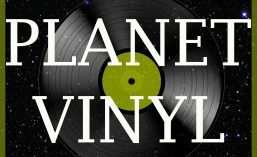 Consequently, you won’t hear it on Planet Vinyl. We are going for another track from a Bing Christmas EP, first released in Australia in 1961. The price tag shows that this particular disc was bought from Allen’s music stores, an institution in this part of the world for decades, in December 1965, for $1.60. Australia was phasing in decimal currency at the time – the official change over did not occur until February 1966 – but despite the futuristic pricing this was a nostalgic purchase. Whoever bought this was a fan of the music of twenty years earlier, the swing-jazz of the 1940s. And it is a gem. The smooth tones of Bing, with the tight harmonies of the Andrews Sisters and the skilled jazz musicians of the Vic Schoen Orchestra, manage to make “Santa Claus is Coming to Town”, not a song I really warm to usually, positively zing. Many of the records featured on this blog, and hundreds of others, are for sale via Discogs. It says a lot about the changed status of tobacco that as avuncular and wholesome a figure as Bing Crosby would appear on record sleeve smoking a pipe. Look at that jaw! Those kind twinkling eyes! The nice hat, and the colour-coordinated pocket handkerchief! This is as solid a slice of Middle America as ever practised his golf swing. But Bing Crosby – and this is all that matters – Bing could sing. He was among the first singers to take advantage of the development of the electric microphone. Amplification freed the singer from having to produce the power and volume of an operatic tenor, just to be heard. Instead, a more quiet, intimate style of singing was possible – this is what came to be called crooning. This is something a lot of rock bands could usefully learn. Let the microphone do the work. No need to shout. Bing was the consummate crooner. His voice is warm, and expressive, and the arrangements were masterful. Yeah, the songs are mostly sentimental, but there is a place for that. This track, though is a bit of a break from White Christmas wholesomeness. Makes her sound like an early-model inflatable woman, and it jars a bit coming from an upstanding gent like Bing. Just like him being a smoker.